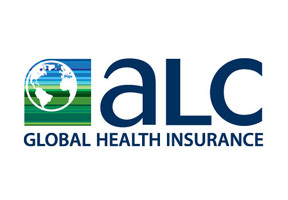 For more than a decade, ALC Global Health Insurance has been offering very comprehensive medical insurance plans to protect families, groups, and individuals and every plan is fully underwritten by Allianz, one of the most trusted and financially stable underwriters worldwide. ALC presents itself as a “premier health insurance purveyor”, which puts a fairly weighty responsibility on the company to offer some of the best coverage and protection available. Fortunately, ALC delivers with such options as maternity, dental, and emergency evacuation coverage among others in addition to its already comprehensive medical protection plans. Thanks to an excellent global healthcare network, ALC guarantees exceptionally high-quality medical treatment for all its insured and depending on the plan selected, international coverage is available as well. For more information on ALC's coverage and plan options, click here to speak with an adviser immediately. Or if you prefer, complete the information request at the top of this page and an adviser will contact you at your convenience. If you are more comfortable communicating in a language other than English just tell us in your message and we will do our best to accommodate your needs.